French fancy in the heart of Liverpool's business district! Inspired by the rustic bistros of Central France, Petit Parle offers delectable small plates, expert cocktails & an assortment of charcuterie to boot. If your mantra is 'bigger is better' then this charming French Kitchen simply isn't for you. New to the scene with a cosy and sleek ambience, the 28 seater restaurant serves up simple rustic and delicious French cuisine with no apologies. Specialising in tapas-style small plates, fish is featured strongly on the seasonal evening menu. Their mussels are delivered fresh from Anglesey alongside the locally sourced meat, fruits and veg. (All perfectly washed down with a Parisian inspired tipple and hunk of artisan bread!) Early birds can pop in and browse their express lunch menu to find everything from oysters and soups, to mini steaks and good old classic French fries. Whilst quaint and inviting from the outside, the beauty of this place for me is that it manages to pull off 'humble with a touch of class' and yet nothing is overcompensated for. Local Chef Lloyd really knows his stuff and the proof is in the pudding with this independent eatery! Divvied into its respective sections (fish, meats and veg) the menu is elegant and yet the simplicity of the dishes ensure there's no unnecessary pretension here. When you're in the heart of a busy city, the nature of things is that pushy chain restaurants can seem inescapable. Indie Street Food haunts can seem like a dime a dozen leaving much to be desired when it comes to fine dining. Enter Petit Parle! 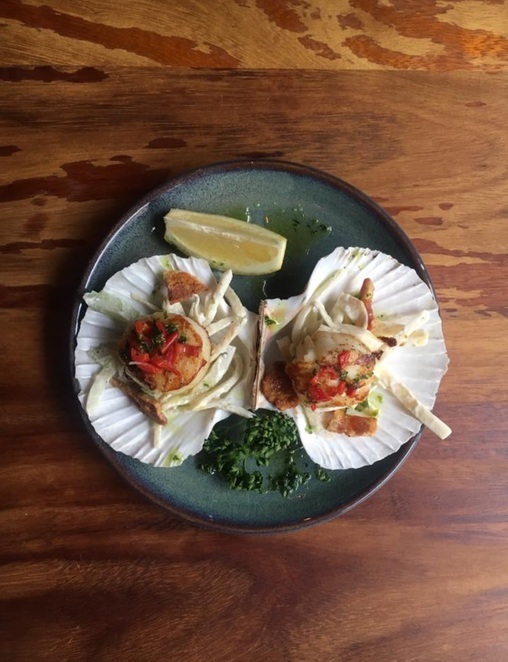 Their superpower is serving up simple, delicate food done to a T, and their moreish small plates will have you shouting 'qui!' in no time! 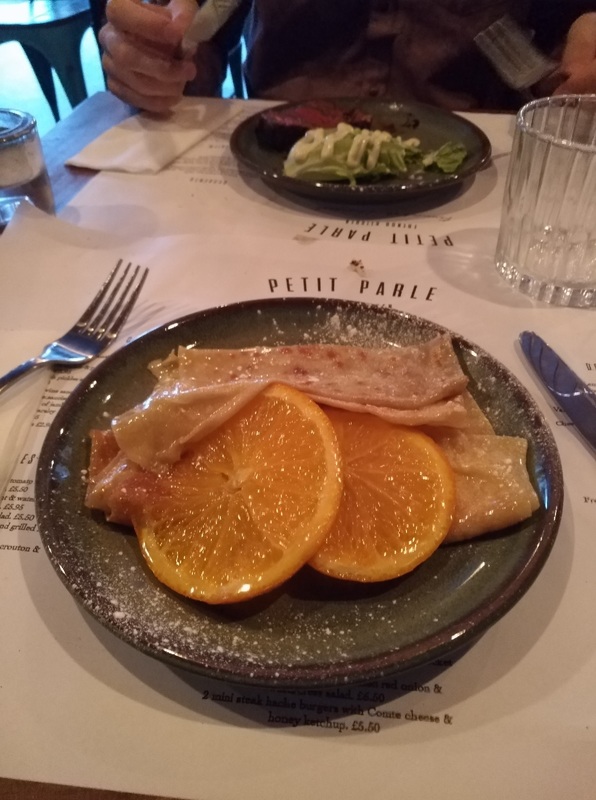 With the mains ordered, you'll surely be wanting something to wash it down with, and with years worth of experience under their belts, the guys behind Petit Parle are nothing short of cocktail experts. Looking for the perfect tipple? Tell them your favourite spirit and watch them work their magic. Not feeling adventurous and want to keep it classic? No bother! If you know your wines you're in for a treat too. The friendly and knowledgeable staff will guide you through all aspects of the menu including signature beverages and the Chef's creative specials and classic desserts. Just ask! If you happen to be visiting of a weekend, the restaurant itself is located opposite a well-known comedy club which is well worth a visit and makes for a fantastic night out when you combine the two in one evening. When dining at Petit Parle, be sure to book beforehand to avoid disappointment as the venue itself is as 'petit' as the name suggests! Keep an eye on their Facebook page for opening times, special events and a heads up on their mouth-watering and seasonal specials.